Patti has worked with Dr. Mickey since the doors opened on March 18, 1989. Patti earned an Associate Degree at Becker Junior College. 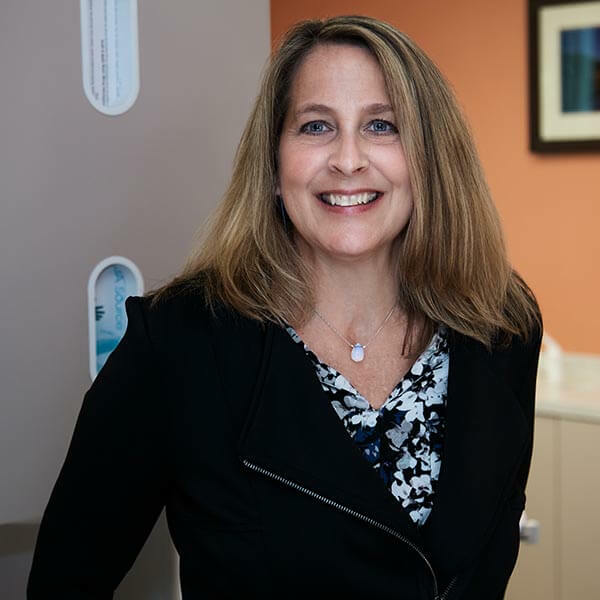 Patti has 28 years of dental office experience and understands all aspects of the dental industry. She was trained as a chairside dental assistant while also supporting the front desk. Patti is the heart and soul of the front office and leads the team as the Assistant Office Manager to ensure our daily operations run smoothly and efficiently. You never see Patti without a smile on her face and she is the epitome of a team player. She loves to see former patients return to the office with children of their own, which speaks volumes of the confidence and trust patients have with us. Patti lives in Lynnfield with her husband Todd and their three children Jared, Mia and Daniel. Patti enjoys reading, taking long walks and watching her children’s sporting and dance events.